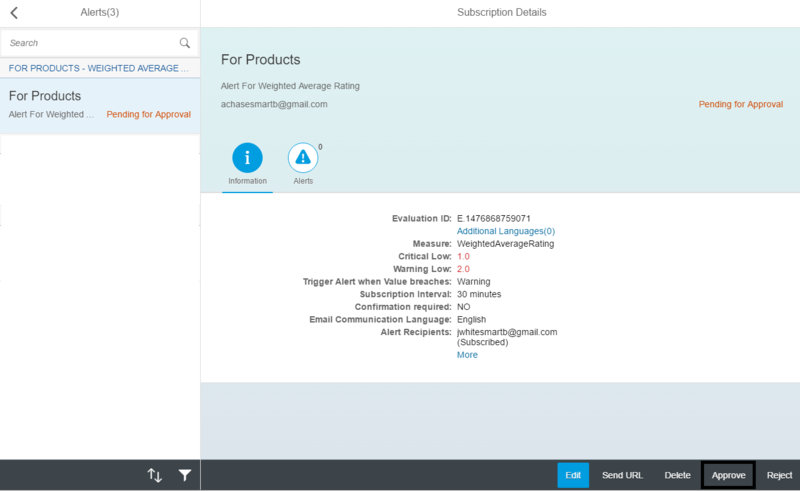 In this article, we will learn how to create and manage alerts in Smart Business Service. 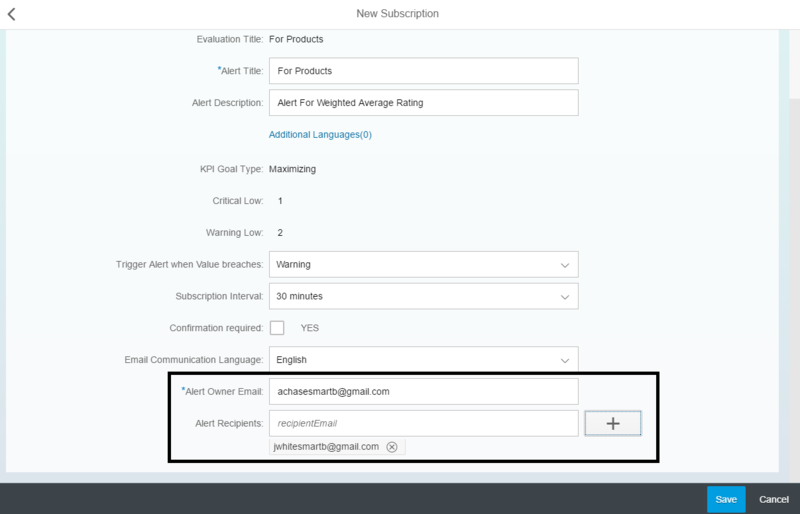 Below section will explain how to create alert and how to use it. Make sure you have configured BusinessSystem and OAuth Client as described in section “Register Smart Business as OAuth Client with OAuth Service”. 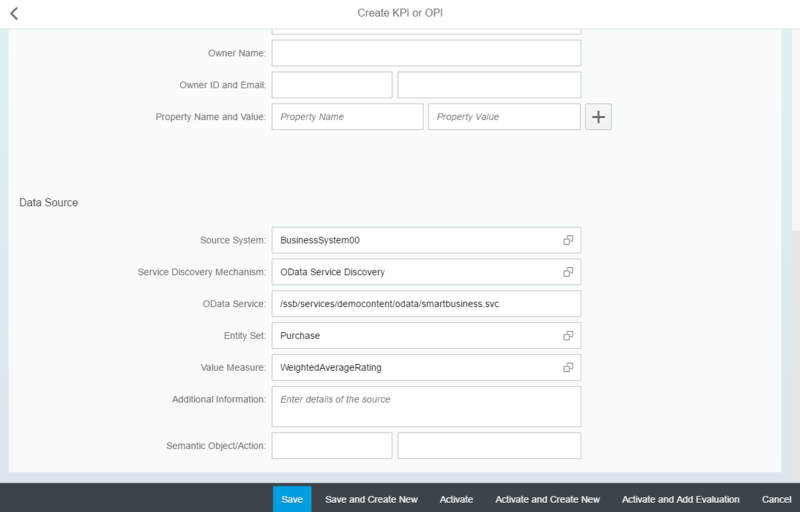 Create a KPI based using BusinessSystem00. 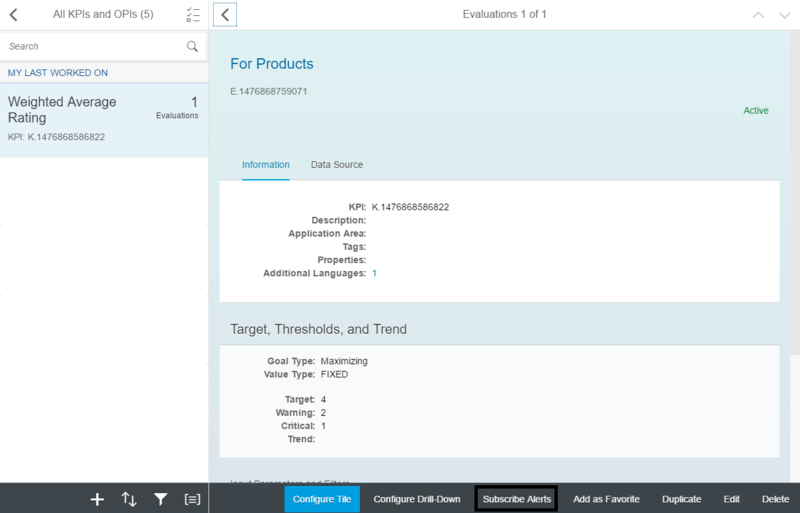 Use Purchase entity and WeightedAverageRating measure. 2. 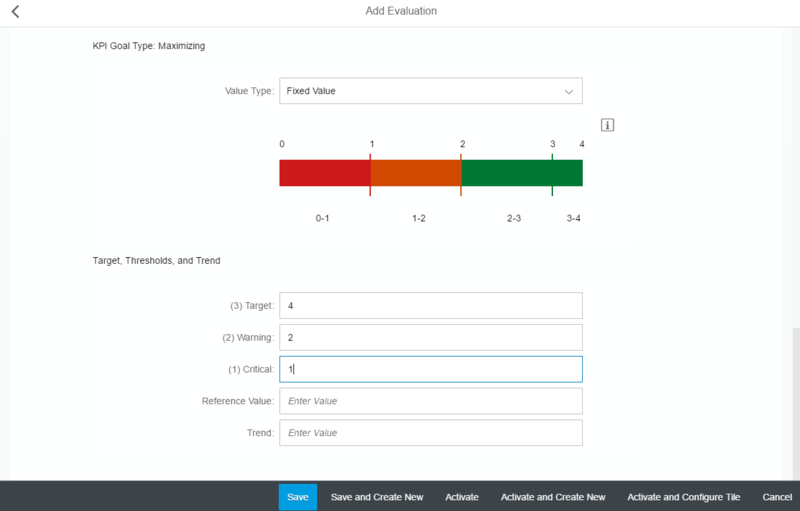 Create an evaluation using the KPI and provide a threshold values. 3. 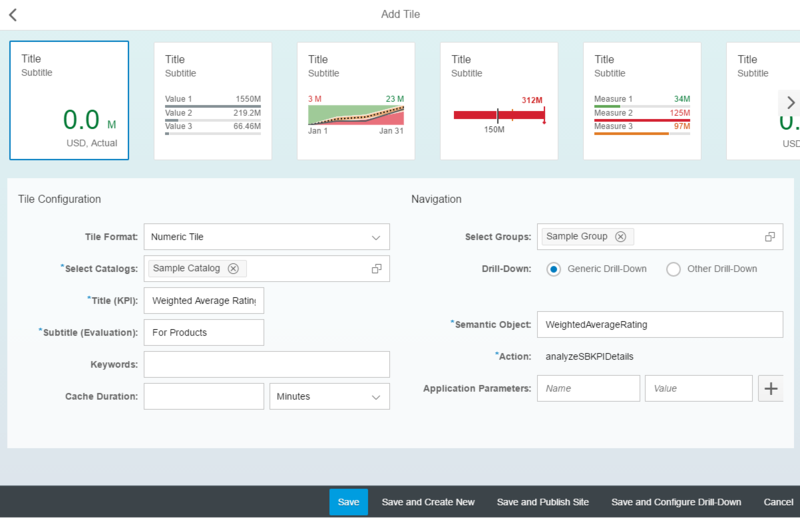 Create and publish tile for this KPI and evaluation. 4. Go to Workspace and select the KPI à Evaluation. Click on Subscribe Alert. 5. Provide alert description, alert owner and alert recipient email ids. 6. Click on Save and you will see the Alert in pending state as below. 7. The alert owner will get an email which will provide details of the alert and link to approve the alert. 8. Alert owner can click on the link to approve the alert. 9. It redirect to OAuth authorization page. Click on Approve to approve the alert. 10. Finally the alert will be approved and will be seen as in Active state. 11. 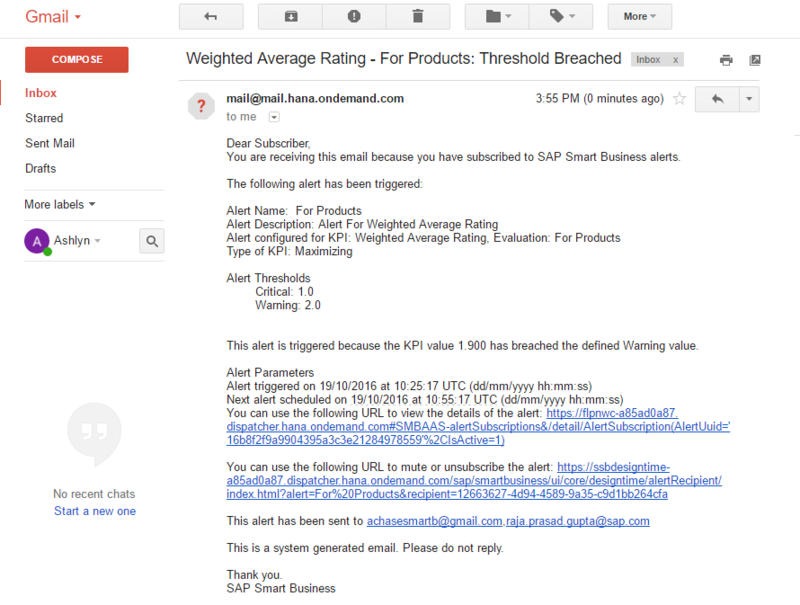 In case the KPI value breaches the threshold, all recipients will get an alert email as below. Nice blog. In step 4 “Go to Workspace and select the KPI à Evaluation. Click on Subscribe Alert. ” I am able to see the Subscribe alert button. When I click on that I do not see anything happening. In the official Help document “https://help.hana.ondemand.com/ssb_service/frameset.htm” , please check the last 2 sections in Subscription and Configuration . This is about setting up of oAuth. Please confirm if you have already done these steps. If you still face same issue, please send us the error (in developer trace). You can also directly reach us by sending the mail at the mail address proivided at the end of the blog. I have a trouble to approve the alert. Kindly let us know what is the error that you faced. Also what is the exact flow you followed that you encountered the error. can you please write on configuring authorization provider, taken provider destinations and oauth client creation for smart business service. 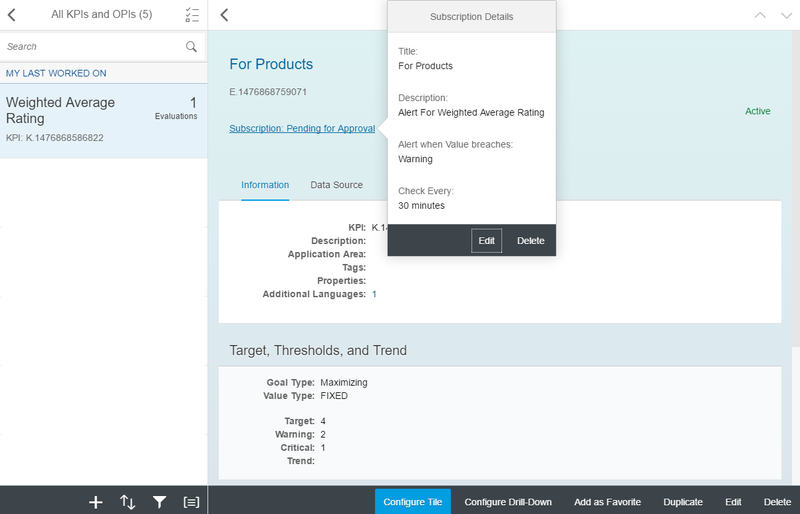 Also on configuring the business systems for alert subscription. 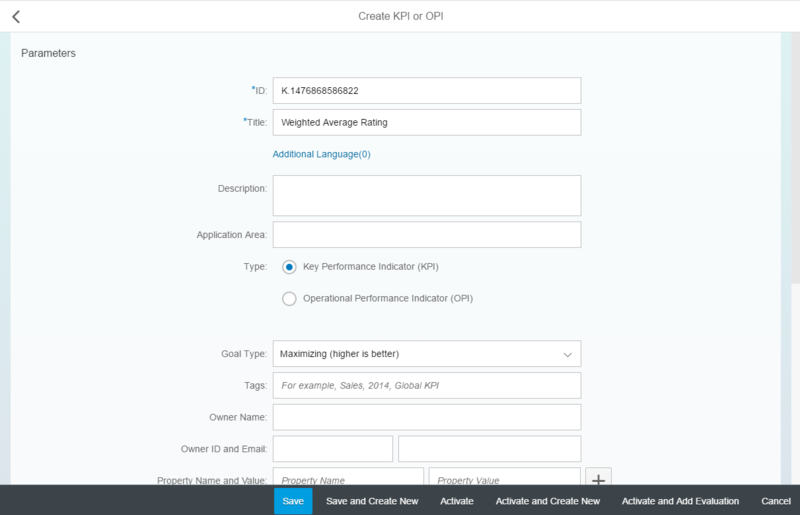 Access Configure Business System app from: SCP Cockpit –> Services –> Smart Business Service –> Configure Service, now select Configure Business System tile. Provide Client ID (generated in Step 1 in below section), Authorization & Token Provider destinations. These destination has to be configured in SCP Cockpit. Corresponding URLs to be used can be taken from Security –> OAuth –> Branding –> OAuth URLs. Cliend ID: In SCP Cockpit, Go to Security–> oAuth and then select Clients tab if you have registered already. Otherwise click on the button Register New Client, new Client ID will be generated. Make sure that redirect url is maintained in the below format in the section under the Clients Table. I have a problem while trying to registrate the SB as an OAuth Client for a trial account. Using the following Redirect URL https://flpportal-(accountID).dispatcher.hanatrial.ondemand.com/sites#SMBAAS-alertSubscriptions?sitePresent=false gives me an incorrect URL error. 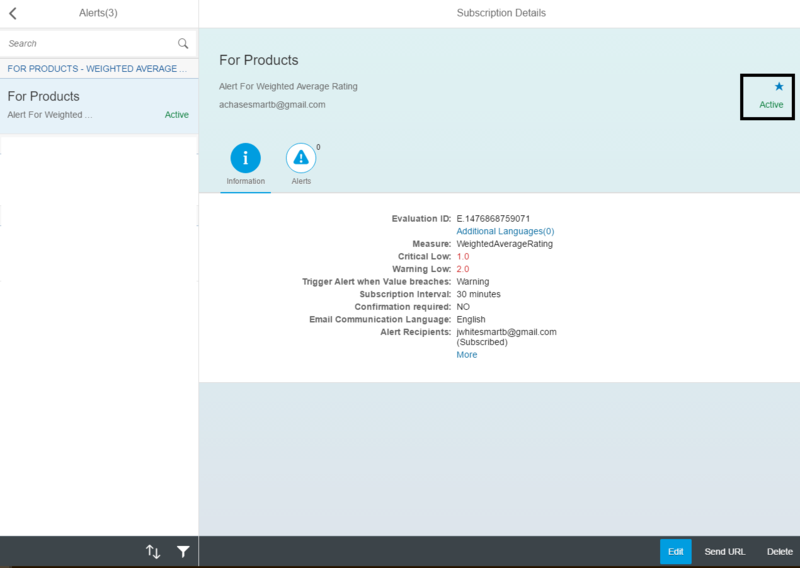 Please make sure that “Manage SB Alerts” app is available in the default site of the Fiori Launchpad for the redirect-url to work properly. Kindly create an incident on SAP Support Portal with the components: CA-GTF-SB-HCP, in case if the issue still exist. I followed all the steps mentioned in this blog. Though i see an alert in the app “Manage SB Alerts” i didn’t receive any emails for subscription. Can someone please help me? In step 5, after specifying the alert owner email and alert recipients I am trying to save it. When I select save, it shows the below error dialog. When I click on OK, busy indicator is displayed. When I go back to the Manage Smart Business Alerts app, I see the alert created as shown below. But I am not receiving any email. Could you please help me to resolve this issue. Is this alert configuration same in 1809 on-premise system also.